In this guide, we’ll discuss how to best present yourself for a job interview, from both a sartorial and grooming perspective. Below, we’ll talk about the specific garments you’ll want to wear and how to properly groom yourself. We will also link to guides that will allow you to explore each of these concepts in depth. Of all the things that a man will have to dress for in his life, job interviews can be the most stressful. Unless you’re lucky enough to have been born or have become independently wealthy, you need a job. As more and more people graduate from college and grad school every year, the job market becomes more and more competitive. It’s important that you do everything you can to set yourself apart from the pack in a positive way. Having excellent grades and a well-appointed résumé is only the tip of the iceberg. We’ve all heard that people with whom we interact make snap judgements based on our appearance in anywhere from 10-30 seconds. Your stellar résumé is nearly useless up against that hurdle! As such, this section will deal with proper suit-related attire. Note that these garments can all be found in a capsule wardrobe. 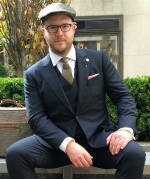 Your suit should be either navy blue or charcoal grey. There’s a common misconception that black suits are good for professional situations, but this is just that – a misconception. Charcoal or navy give off the air of reliability, credibility and trustworthiness. This is what you want a potential employer to feel when he or she looks at you for the first time. The suit should have notched lapels and straight flap pockets. Keep your shirt either white or light blue, and preferably solid. Subtle stripes might work, but only if the industry for which you’re interviewing is less sartorially conservative. If we’re talking about law, accounting, or government, stick to solid white or blue. 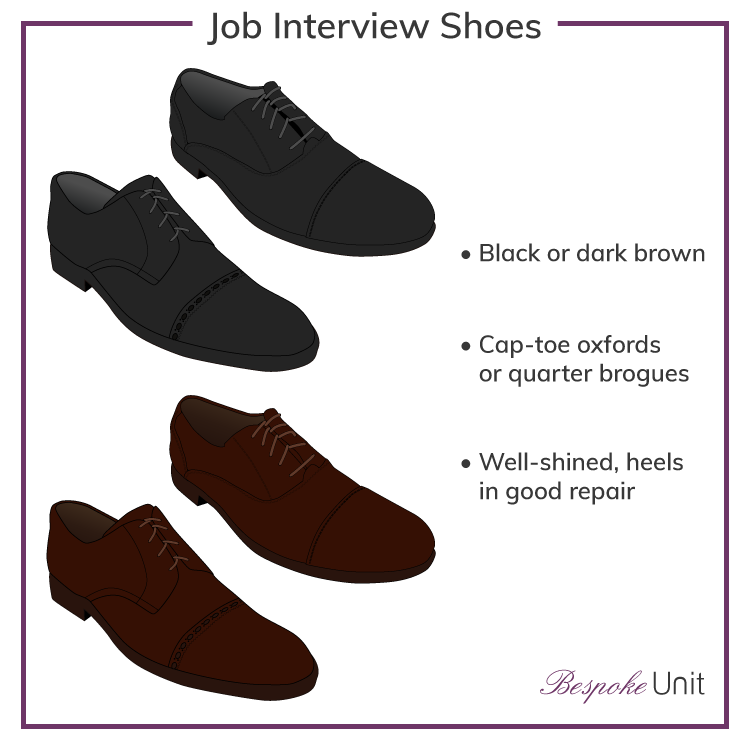 Black or dark brown brown leather cap toe oxfords are going to be your best bet, as they’re the dressiest options you have at your disposal. Make sure they’re shined and otherwise in presentable condition. One of the best ways to tell if someone shows attention to detail is to look at his shoes. If they’re scuffed and in poor shape, that doesn’t speak well for you. You should wear a tie, pocket square, belt, and socks. If you wear jewelry, keep it to a simple watch and a wedding band, if applicable. Your tie should be red, blue, or yellow. You have the most leeway with blue in terms of shade, but keep red and yellow ties relatively muted in tone. In a job interview setting, your pocket square should be white and simply folded into a TV fold (with just about a half inch showing in a straight horizontal line above the breast pocket). Don’t go with a puffy fold or a square that’s brightly colored. Though it might look nice, it may very well prove more distracting than anything else. Belts should be simple and match your shoes in terms of color. Brown belts don’t have to be the exact same shade of brown as your shoes, but they should be reasonably close. The basic rule of thumb is that socks should match your trousers. When you’re out on a date, feel free to eschew this rule in favor of something more fun, but in a job interview, grey pants get grey socks and navy pants get navy socks. 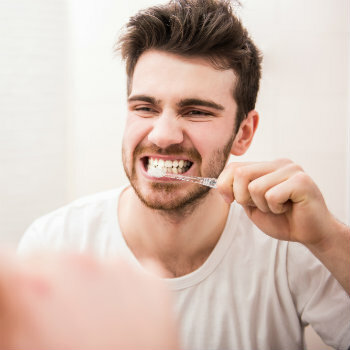 First, the basics: shower and brush your teeth the morning of your interview. You should be doing this regularly already, but a reminder never hurts. Second, see our guide to grooming. It will answer any questions you have regarding hairstyles, beards, and moustaches. It will also answer many questions you didn’t even know you had. 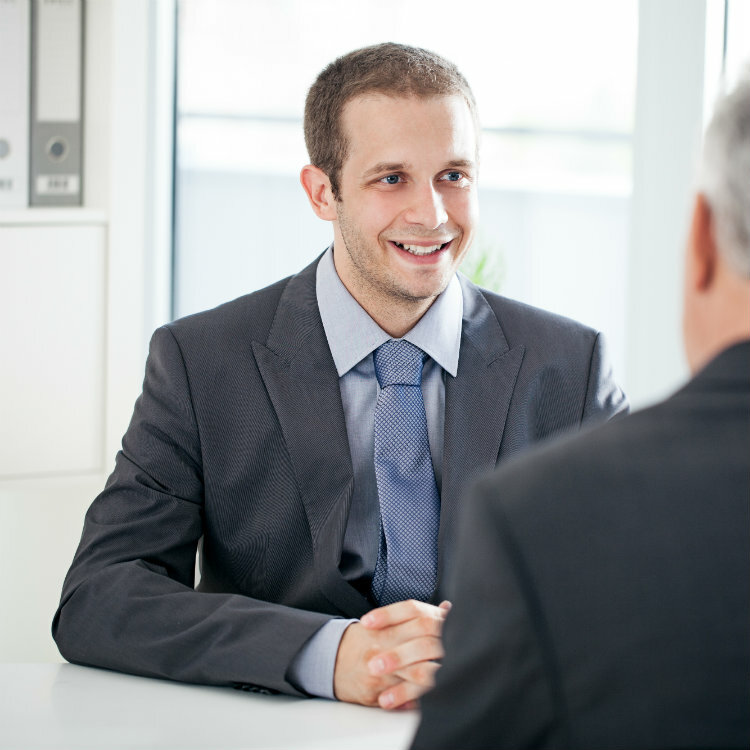 For job interviews, you want to present a clean, neat appearance. Get a haircut about a week beforehand so that it looks neat but natural at the interview. If you keep facial hair, groom it the night before or the morning of, depending on the rate at which your beard grows. Do not wear stubble to an interview. Either have a well-kept beard or be completely clean shaven. Be careful not to over-apply cologne. Our various fragrance guides has plenty of information on how to apply your smell-good properly. In fact, the guide to applying fragrances even has a section dedicated to the office, which you can use as a reference. Take a look at the picture below. Looks like a nice young man who’s gotten properly dressed for a job interview, right? Grooming: His hair is reasonably neat, but the stubble looks unkempt. While this may look fine at brunch after a bender, it’s a killer in a job interview. Either maintain a well-kept beard or shave that morning. Shirt collar: It’s not resting underneath the jacket as it should be. Details matter! Peak lapels: Though the ones pictured above are relatively inoffensive, it’s best to avoid wearing peak lapels to a job interview, especially in the United States. Fancy as they are, they will be more of a distraction during a interview than anything else. Tie knot: The knot is big and bulky and lacks a dimple underneath it. 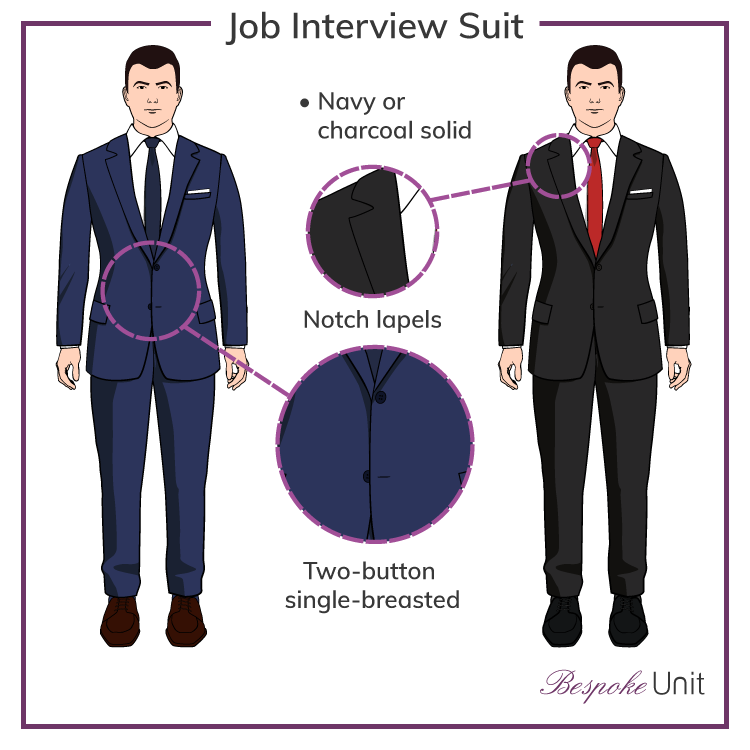 A four-in-hand or half-Windsor are perfectly good knots for job interviews, but they should both taper towards the bottom of the knot. The point of dressing for an interview is not to look good so much as to demonstrate that you understand professional sartorial mores. 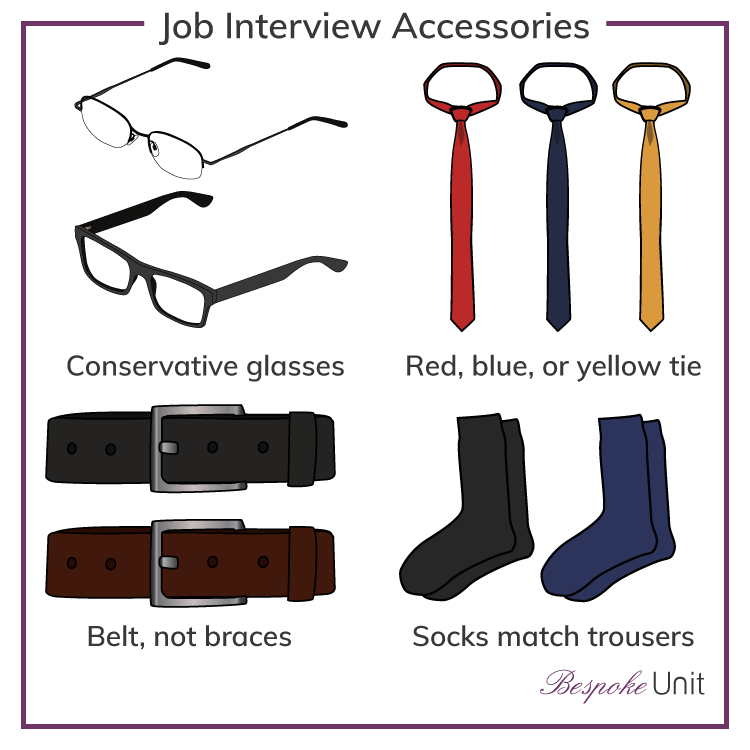 Furthermore, dressing the right way will allow the interviewer to focus on you, your achievements, your personality, and what you can bring to the table for their organization. 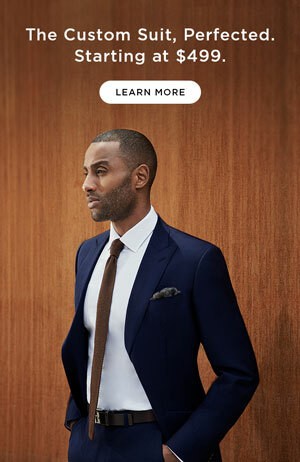 To learn more about suits and other sartorial information visit our Suits Homepage. 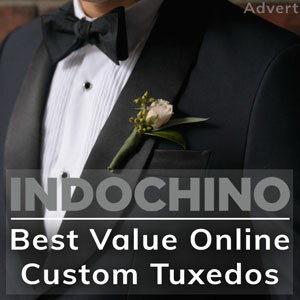 What To Wear At Weddings? Reviewed by Harry G., on 20th February . 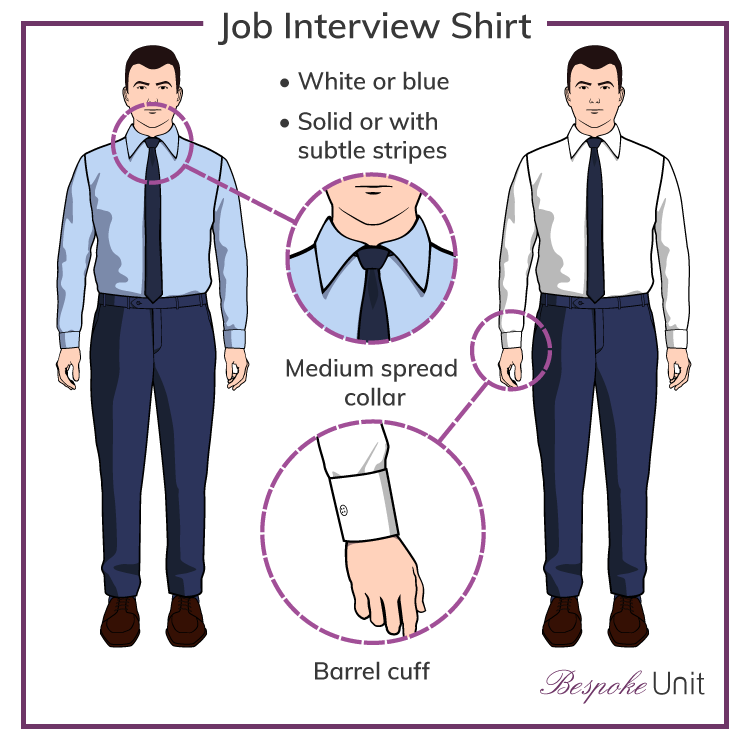 "Perfect guide for my upcoming interview. Just graduated from college so this is just what I needed to prepare for the next step!"